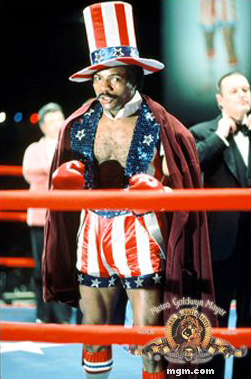 While I can’t make the same boast as Apollo Creed, I’ve downed my share of boxers since I’ve picked up Fight Night Round 3 a couple of weeks ago. My lifetime record isn’t helped by the fact that I haven’t played a boxing game since I got a demo version of 4-D Boxing on PC, which was my upgrade from Mike Tyson’s Punch Out!! on the NES. Yes, it’s been that long. I downloaded the demo of FNR3 from Marketplace purely based on videos and images posted on the Internet. I won my first fight against Roy Jones Jr. and I was starting to like getting back into the boxing genre. That was to be the only fight I won in the demo and I had to shelve it out of total frustration since I kept losing. That didn’t stop me from picking up the game though, I figured I would learn how to fight and get better with the full version of the game. A couple of test fights in, I figured out the controls so I could start winning. I think got it now — my career sits at 18-2-0 (18 KO) with only my impatience working against me on those 2 losses. And, yes, I got sucked into a boxing game even though I’m not a fan of the sport at all. Enough that I found myself the other night looking up old fights and famous boxers. Although I knew he was one of the greatest, I never realized what a total machine George Foreman was! 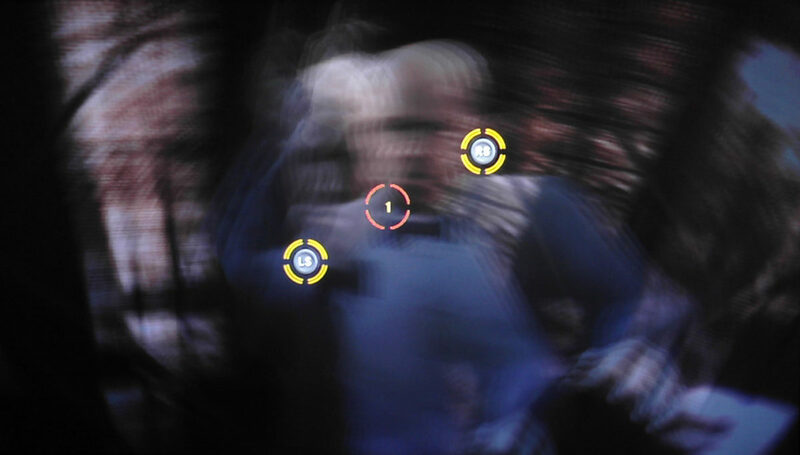 If only my thumbs were machines, I must be doing something wrong, but I can hardly last a round without having to take a break because my thumbs hurt from the dodging, blocking and punching. I’m definitely not stopping now though, FNR3 has my attention. I have to go back to improving my record now. … and XBLA games, depending on if anything comes out. I’ve recently been reading Elle’s blog, Circlets, since she was linked to by Major Nelson. She is a writer for the Xbox documentation team. 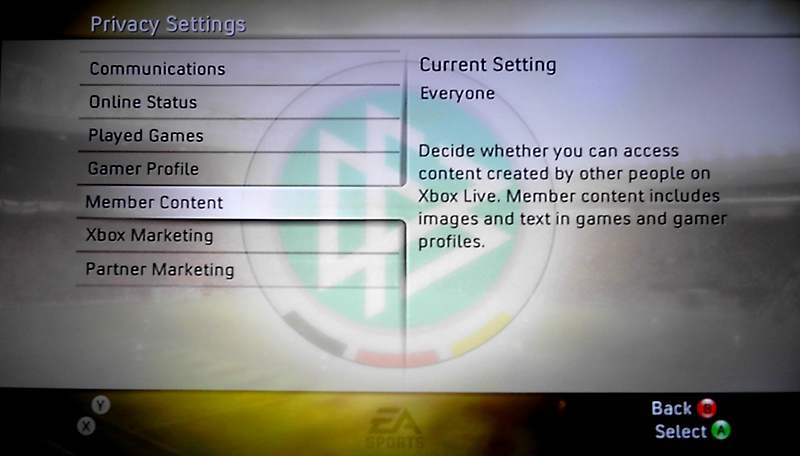 A few days ago she wrote an entry about the privacy settings for Xbox Live that you can find on the Dashboard. It isn’t the first thing I would think to read about in a manual or search out for, but now that she posted it, I was interested in the details. Besides the usual opt-in/opt-out marketing options, there were two things that caught my eye. The first was the “Played Games” option, which lets you show or hide your Played Games list from whoever is looking at your Gamercard. The other option is for “Member Content.” Elle comments that this option “doesn’t have a lot of use right now, but it will as people create content to share with other people. You can choose whether you want to see the content.” It will be interesting to see how that comes into play in the future. A couple of weeks ago I was reading through a thread on GAF where someone replaced gaming with their Xbox 360 from the normal TV with gaming on their PC monitor via the VGA cables. The thought the picture looked a lot better even though they had to go to a smaller screen. Then a few posts down, some other people started talking about how they hooked up their Xbox 360 to the PC input on their TV. And a decent number of people thought the picture was significantly better, even the ones that had some complaints (e.g. too dark, washed out, bad contrast, etc.) thought that in general the picture looked much sharper and more detailed. Now that got me thinking something I hadn’t even thought about before… I’ve already hooked up my laptop to my TV so I could watch TV shows I downloaded from iTunes, but I had never, ever considered to do the same with my Xbox 360. I always thought that component is the way to go for that. So the next day I went out to get myself a VGA cable to try this out. After making sure I got the right resolution through the Dashboard menu, I was really impressed with the results. I guess I lucked out because my TV has its VGA settings calibrated fairly well, so the image looked visibly different to me — some of the text in the menus looked sharper, some of the textures looked more detailed, things like that. 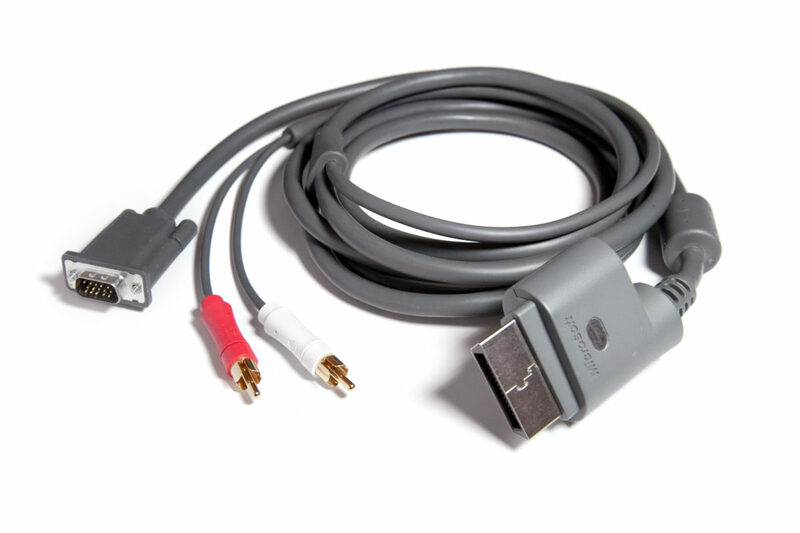 I suggest that if you can try the VGA cables with your display, definitely try it out because I was totally missing something good because I didn’t think about it. Since the Katamari Damacy website went down on March 17, this no longer exists. Very, very sad. 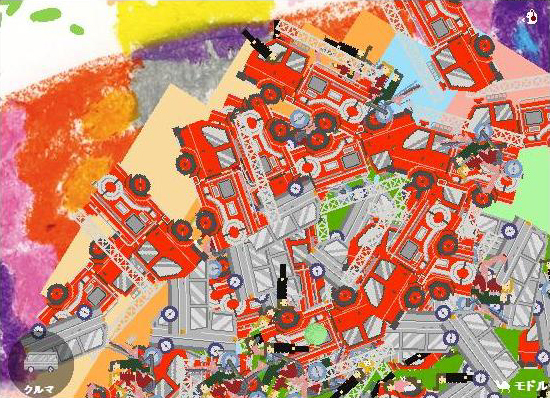 Thanks to GAF, yet again, is my enjoyment of the Katamari Damacy mini-game (Flash based). Slightly more addicting than is safe for a day at work I’m sure. I’m sure I would have done better if I stopped accidentally clicking the mouse every 30 seconds and shaking off all my collected objects to have to start from scratch.